John Marcus de Paravicini, left, was born in Datchet on 13 February 1895. 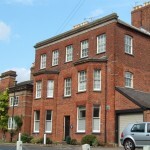 He was the middle son of Percy John and Marcia Charlotte Sophia de Paravicini (nee Cholmondeley), who lived at Riverside House, Windsor Road, right. He and his two brothers, Percy Gerald and Charles Prior Evelyn, following in their father’s footsteps, were educated at Eton College; John Marcus was there from 1908-1913. All three brothers were in the college Officer Training Corps. John Marcus was a member of Somerville’s House at Eton College. The photograph, below, shows the house members in 1913. 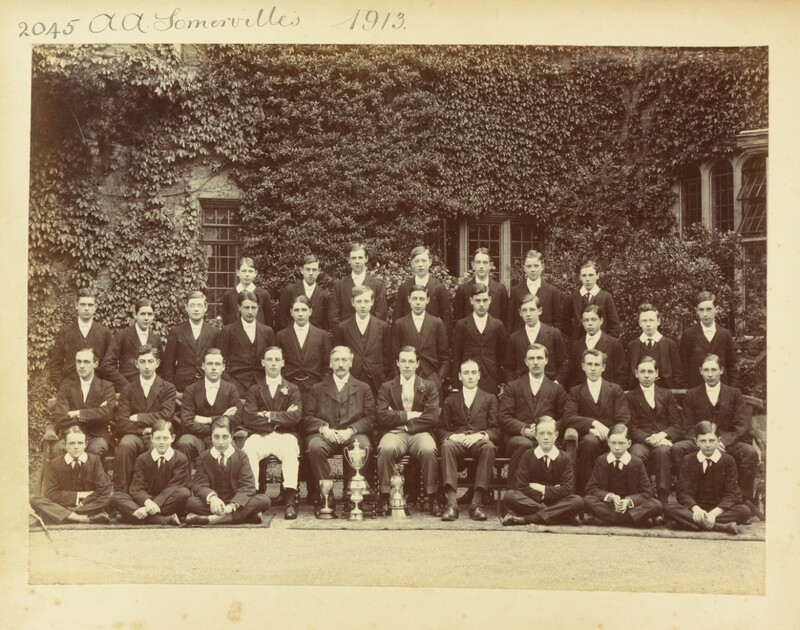 He is sitting in the centre of the front row, on the left hand of his housemaster. He played in the Oppidan Wall Game in 1913 and was a member of “POP “, a prestigious and exclusive debating society known as the Eton Society. This society was formed in 1811, admission to which was by election. 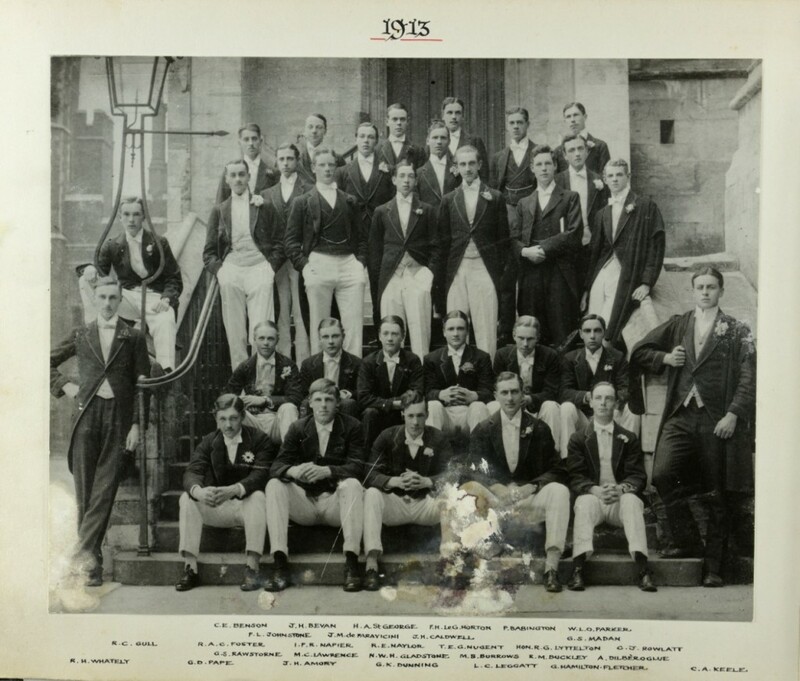 In the photograph, below, of the POP debating society, John Marcus de Paravicini is on the second row from the back; second person from the left with a flower in his lapel. On leaving Eton in 1913, John Marcus joined Barclays Bank. 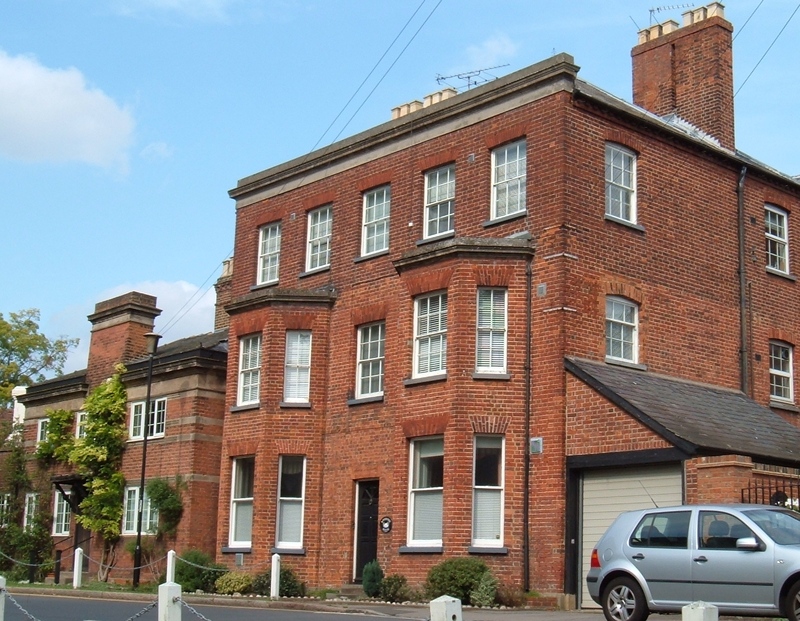 He volunteered as soon as the war began and was entered on a waiting list for an officer’s commission in the Kings Royal Rifle Corps, eventually being commissioned into the 11th Battalion on 13 October 1914. By the age of 21 he had risen to the Battalion’s second-in-command. He was said to be the youngest Major in the British Army. He served on the Somme and participated in the attack on the Hindenburg Line which was a German fortified defensive line built during the winter of 1916/17 and stretched from Lens , in the North, to Verdun, in the South. He also participated in operations at Langemark, near Ypres, in August 1916. His last operation was in the Battle of Cambrai which began on 20 November 1917. This battle was the first in which tanks played a decisive role (not the first involvement of tanks however). His Battalion was based near Fins and was part of the 20th Division which attacked towards Cambrai with the objectives of taking La Vacquerie and the high ground known as Welsh Ridge. Marcus’s Battalion was held in reserve. That night they were ordered to take Crevecoeur accompanied by 12 tanks. This they failed to do and were dug in to the south of the settlement on the night of 21 November. On the evening of the 29th, they relieved another battalion in the line near La Vacquerie. The following morning, the Germans launched a major counter-attack and the 11th Battalion was forced to retreat. Marcus fled his battalion HQ accompanied by one of his men, Rifleman W C Field. They were strafed by a low flying aircraft and both were hit. Rifleman Field saw Marcus crawl into a shell hole. The Battalion was overrun. Field was taken prisoner but Marcus was never seen again. 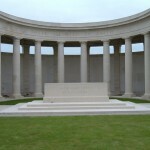 He died on 30 November 1917 at the age of 22 and his name is recorded on the Cambrai Memorial at Louvreval (Panel 9). 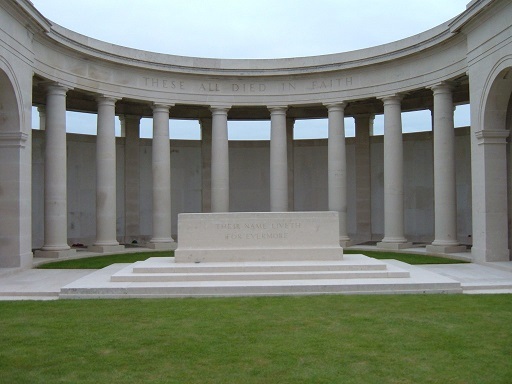 This memorial records the names of over 7000 serving men from the UK and South Africa who died in the Battle but have no known graves. Eleven other Old Etonians are also named on this memorial. In 2015 the Datchet Village Society purchased the Memorial Plaque of John Marcus de Paravicini. Click here for more details.